Blue milk is coming to a breakfast table near you. 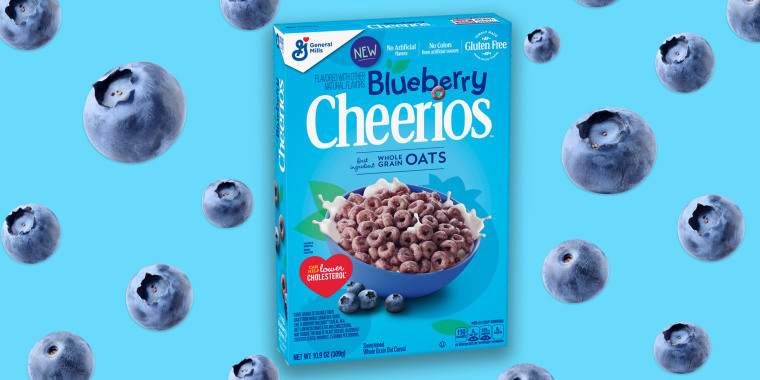 Peak blueberry season may be in the summer but General Mills is already making fans berry happy with the release of its new cereal: Blueberry Cheerios. The fruity cereal has already hit store shelves but there's no need to rush out and buy up all the boxes because the new flavor is being added to Cheerios' permanent lineup. A company spokesperson told TODAY Food that boxes of Blueberry Cheerios will retail between $4 and $5. Just this past winter, Cheerios came out with another beloved fruit-and-cereal combo, Banana Nut, but as the ice and snow disappeared, so did the limited-edition breakfast release. According to the new cereal's nutrition label, the O's vibrant blue color comes from a blueberry puree concentrate, as well as natural vegetable and fruit juice coloring agents. Along with an ample list of vitamins and minerals like zinc, folic acid and iron, the new flavor remains gluten-free (like all Cheerios) and is made from whole grain oats, sugar, oat bran, cornstarch, canola oil, salt and corn syrup, along with additional preservatives to retain freshness. A 3/4 cup serving has 110 calories, 21 grams of carbohydrates, 2 grams of protein and 8 grams of sugar, which is similar to the nutritional profile of another tried-and-tried true sweet cereal favorite: Honey Nut Cheerios. 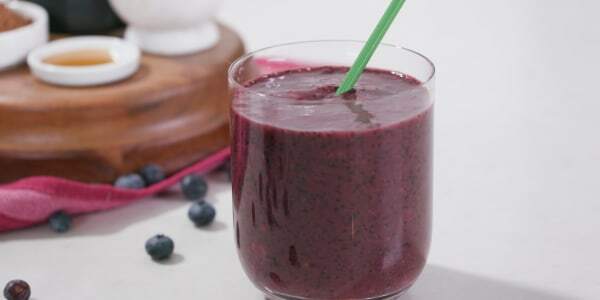 While the new O's may be full of blueberry flavor, to get the full brain-boosting benefits of the fruit itself, it may be wise to add some fresh or frozen wild blueberries to the bowl. The more blueberries the better, right?